LAKE COUNTY, Calif. (KGO) -- Cal Fire says the Peterson Fire burning in Lake County is now 17 percent contained. Flames have charred 200 acres, smaller than originally estimated. 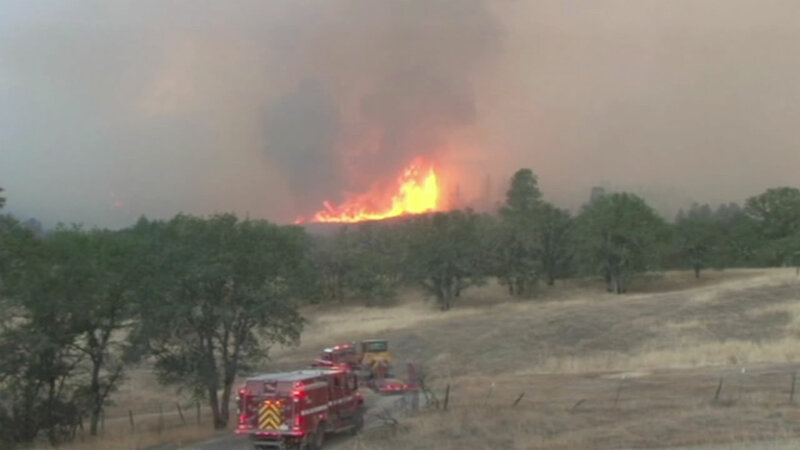 It started around 5:30 p.m. Saturday off Peterson Lane in Kelseyville. This is the third major fire in Lake County this summer. The 25,000-acre Jerusalem Fire near Middletown is 98 percent contained. The Rocky Fire, near Lower Lake, was contained nine days ago.